7 – Going Home …. Going home. Where is that? What does it mean? Is it where your bricks and mortar are? Where your parents are? Where your children are? Or, over the next few weeks, is it the place that makes your heart swell when an Olympic gold is won? I met an Englishman at the Colmenar Social Club. “I haven’t been home for over 20 years” he announced. Struck by the obvious anomaly in that statement, I glanced around to see if anyone else had picked it up. But there were nods of agreement. “I went home about three years ago for a wedding, but that was the first time for about ten years” said a woman. Both had lived in Spain for well over 20 years and have no intention of ever living anywhere else. So where is their home? Surely the only answer to that, is Spain! Neither has property in England, and one has children living abroad as well, one in the US and one in Saudi Arabia. And yet both instinctively call the UK “home”. Others at the social club did the same. “Why would we want to go home?” one asked, “the weather’s terrible at home!” “I visited my grandchildren at home once” said another, “but mostly they come out to see us here.” Always differentiating between “home” (the UK), and “here” (Spain). “Here” is where they have laid their hat, but does that make it home? Something in them stops them calling Spain “home”, even after so long. Taking the opposite position is John, who runs the Bar CO2 on the square in Colmenar. He last visited the UK three years ago, and all the time he was there he was looking forward to getting back home as soon as possible. He talks about going “to the UK”, and then coming “home” to Spain. The choice of language defines the perception. A couple of my new friends here seem so “at home” in Colmenar, so in tune and comfortable with the Spanish culture and way of life, that I was surprised to discover that they DON’T live here but are just visiting their daughter. It feels wrong to think they will soon fly half way across the world back to their home in Canada, when they seem imbued with the essence of the Axarquía, more than almost any other non-Spaniard I have met. So today I fly home to Dorset. To the little thatched cottage I originally bought eleven years ago as a “second” home, but which within three months became the place I wanted to be, so I escaped from London permanently and moved fulltime to Shaftesbury. Home. Yes, I’m going home to the UK where my home, my work and most of my friends are. Where my books and music are. Where the computer holds all my files (until one day everything is transferred to “The Cloud” so that it’s all stored up in cyber-space, as it will be in the near future, I’m told). And then a few weeks later I shall return here to Colmenar. Backwards and forwards for the next few months while my brain learns to cope with new opportunities, a new place to be, new ways of life. The end of the responsibilities of caring for my mother – inconsolable sadness at her death, in parallel with the slow realisation that out of grief and loss can come change and opportunity. I’m going home to the UK today. I’ll watch the Olympics at home in the UK. I’ll cheer on Team GB and share the national rejoicing when “we” win a medal. I’ll take pride in Spain’s successes too, as I did in their recent football triumphs. “Their” triumphs, “our” medals. I’m British, returning home to England. Next month I will visit Spain again. I will watch myself over the coming months and years to see if – or when – the language I use changes to reflect a different perception of “home”, where it is, and what defines it. You have a point. Lots of English expats living here in Spain still refer to the UK as “home”. To my mind, if you have sold up and moved – lock,stock and barrel to Spain – then THIS is your home. My husband and I embrace all things Spanish and when we return to the UK to visit friends and family, we are always glad to get back home to our lovely life here in the Axarquía. It was our choice to move here and have never regretted it – not for one single day. Thanks Marianne – I’ll be back soon! Great writing. home ? home is where my family is . Once a migrant home is a difficult concept. Poland was always home for my parents….. until the war .I was told i was always Polish but felt i didnt want to be .. i wanted to just be me . (not any national). home ? I think it is more a feeling than a place. Tamara read the TCK .com site . i am a TCK and so are you . Ah, the TCKworld.com site – you sent me off into a strange world of mining and engineering at first, Margaret! Yes very interesting – I shall explore it further. One day I’ll write about my mother’s strange travelling background too – I’m sure it has a bearing. Well this is an interesting one. Iam going home soon to see all that is in my bones and brain and formulative experiences. It is where my my roots are and what made me mostly who iam today. I call Australia my 2nd home which enriches my life and gives me a whole new plethora of experiences to add to the mix which is me. I have learned over the 18 years i have been here to become a citizen of Australia and i dont compare the 2 places just fill imyself with all that the 2 countries have given me. That way i hope will never become a whinging pom and will always appreciate my two completely different life styles. I will always be routing for England because it is who iam but if the uk is out of the mix i am an aussie suporter all the way. For those who say i should be supporting Australia in the Olympics as i am here, just tell the Aussies in Earls Court that they should be routing for the UK…. not gonna happen , isn;t lfe interesting? ……. When we visit the UK (rarely), we do refer to Spain as home, it wasn’t an instant flick of the switch, but a gradual process of us absorbing the new lifestyle, then feeling that given the choice……our hearts are here, which is where our home is. That’s interesting Jess. Impossible question, but how long do you think that transition took? When did you catch yourselves changing how you referred to “home”? I laugh to read back over this post just two months ago, as my language is changing already. 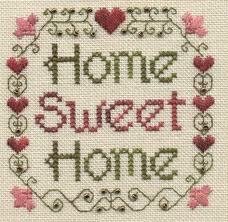 For me it boils down to the different definitions of the word “home”. In this context there are 2 fundamental meanings: the residence or town or country etc in which you currently live (where you have made your home) and also your native land/town in which you grew up, your homeland. I refer to my house in Spain as home, but also the town I spent my childhood in as my ‘home town’, even though I left at 18. My Dad still lives there, so it’s not unusual for me to say I’m going home if I’m paying him a visit, but when I’m there I will talk about going home to Spain, as really I’m talking about two different things. Oh, and I annoy my husband when I sometimes ask him when is he going home – when he’s actually returning to Scotland to work and hasn’t had a home there for nearly 40 years – because I really mean his ‘homeland’ – but that one gets me in trouble so I try to avoid it! !